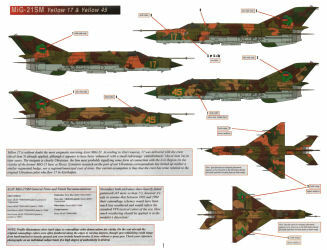 Alright you fans of Soviet & Russian military aviation, Linden Hill has released another nice set of markings, this time for Trumpeter's 1/32 MiG-21MF/SM kit. 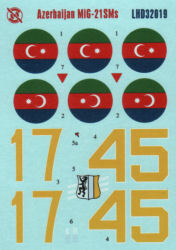 This set covers two Afghan war combat veterans from Azerbaijan. 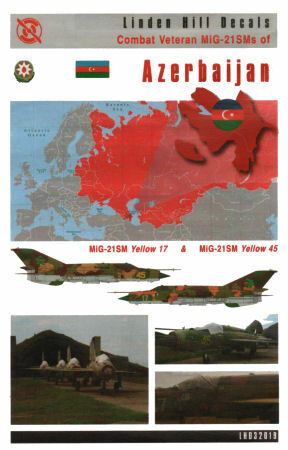 Linden Hill has produced another nice set of markings and really provide some excellent subjects from the Soviet allied air forces. This decal set will definitely give you some great alternatives so your aircraft won't look 'out of the box'.